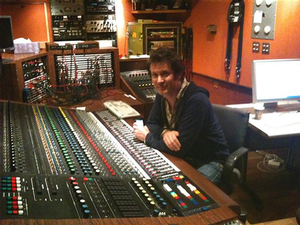 Warren Huart is an English music producer/songwriter and multi instrumentalist based in Los Angeles. He has played a fundamental part in the creation of many platinum selling and billboard soaring albums, as well as the development of many of today’s most successful artists’ careers. He also has the Produce Like A Pro video series, which offers recording tutorials to beginners as well as Spitfire Music, a one-stop music house focusing on licensing music for film and tv. Warren is known for his hard work ethic, positive attitude and respect for the artist’s vision. Many of his long term relationships have turned into close friendships. With over 20 years of experience in the ever expanding music industry (record production, engineering, mixing and songwriting), as well his extensive knowledge of both modern and vintage musical equipment and instruments, Warren manages to create the most diverse sound around.